The folks at Grey Matter Art are back at it again with their latest release, Mulholland Drive by Gabz. 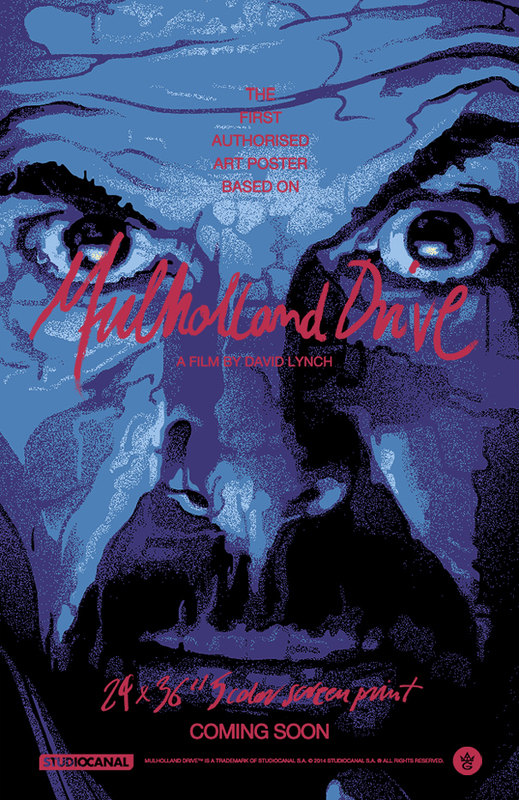 This is the first fully official poster for the classic David Lynch film, and Gabz’s knocked it outta the park as always. 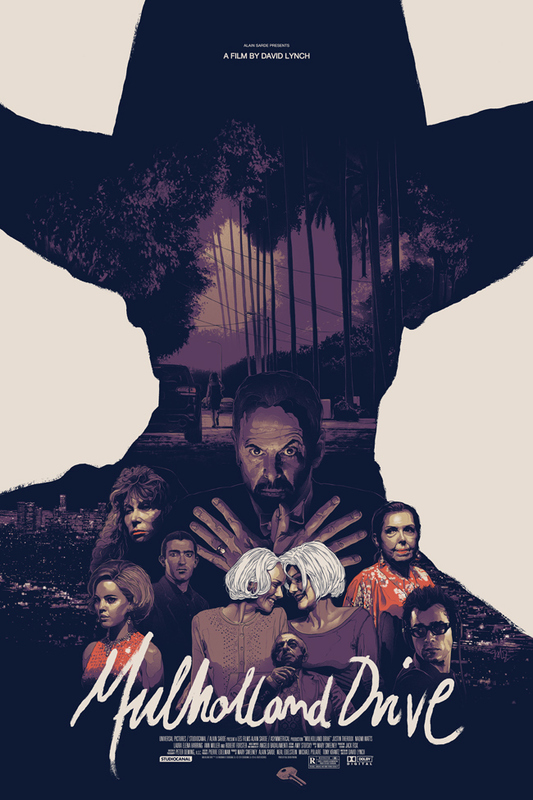 The poster captures the film’s dreamlike quality with plenty of style and mood, offering a dense amount of detail mirroring the film’s labyrinthian plot. It’s a great poster and is sure to add the eeriness that your wall is currently missing. Both versions of the poster go on sale at the Grey Matter Store next Tuesday, September 30th 2014 at a random time between 1-2 PM EST. Follow @GreyMatterArt for the exact time.